/ Modified dec 1, 2014 3:46 p.m.
Tucson poet, artist and performer Logan Phillips releases new book inspired by the region. Poet, artists, and performer Logan "Dirtyverbs" Phillips, left. 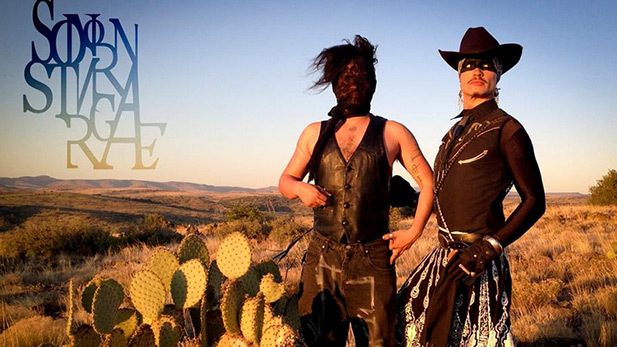 Logan "Dirtyverbs" Phillips was born and grew up in Cochise County, where the border was part of his everyday world. Now, he's telling the whole world about this region - the "beautiful and the painful," he said. His new book, Sonoran Strange, is a collection of works that focus on landscapes, history, people and events. Phillips said he hopes readers will get a better understanding of this complicated society - often bilingual, bicultural and very diverse- which makes up the intricate fabric of Arizona and Sonora. 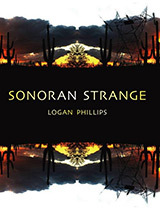 Phillips is celebrating the release of Sonoran Strange Friday, Dec. 5 at the Hotel Congress. Performance Piece Explores Culture of Border Region The City of Tucson Offers Hope to Migrants in Need Finding Common Ground with "One Small Step"